Vincent and his team painstakingly stripped, repaired, stained and sealed 6 original Brownstone doors (2 outer and 4 inner), 2 parlor doors, chair rails, floor and door moldings, the original hallway mirror, the railing newell and the 3 floor railing – all of which was damaged, nicked, chipped and painted a deep black. We were even missing pieces that Vincent and his team fabricated for us. The attention to detail was amazing, everything looks brand spanking new – we still marvel at how beautiful our original walnut woodwork looks now (and so do our neighbors!) Vincent’s craftsmen showed up every day, early and on time, and every evening cleaned up and started fresh the next day. Vincent is so easy to work with – so accommodating, honest and professional – Vincent knows exactly how the woodwork should look and knows how to achieve that result. Highly recommend Vincent’s services! 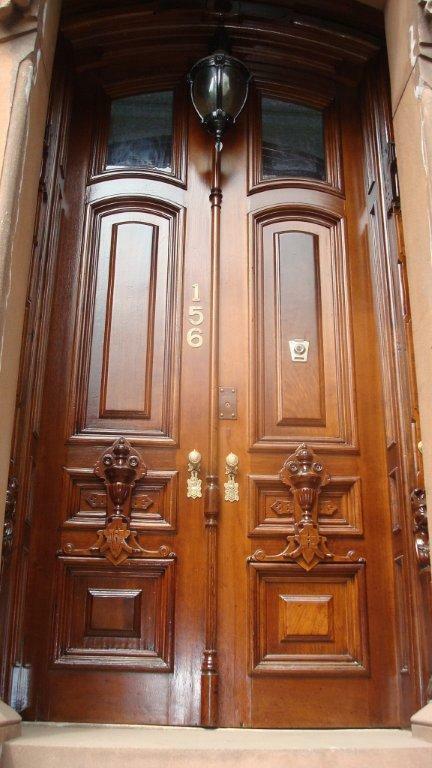 Vincent and his associates restored the front doors of our brownstone on the upper west side of Manhattan. As he promised, they ended up looking beautiful, like fine furniture. The workers were very careful, clean, skilled, and professional. We were extremely pleased with the job. Vincent and his team were a pleasure to work with from start to finish. 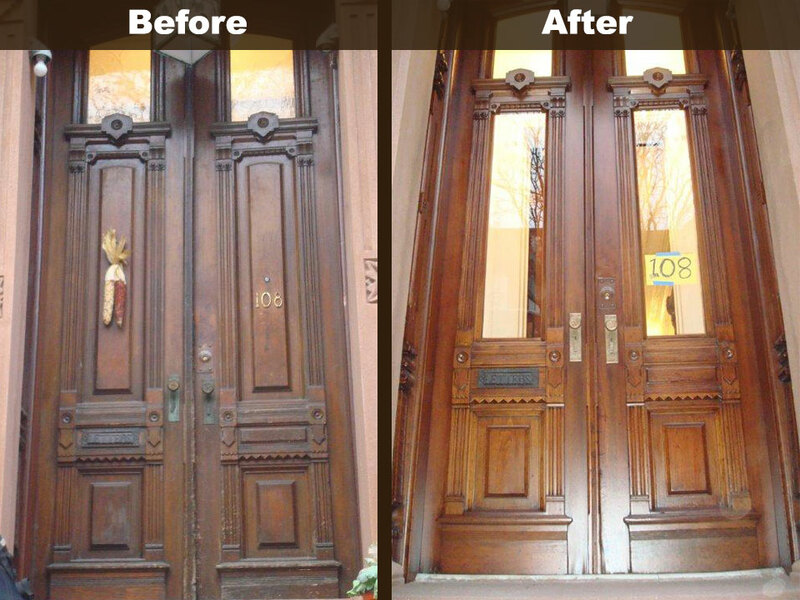 They repaired and refinished the oak doors on our Park Slope brownstone, and the outcome was excellent. 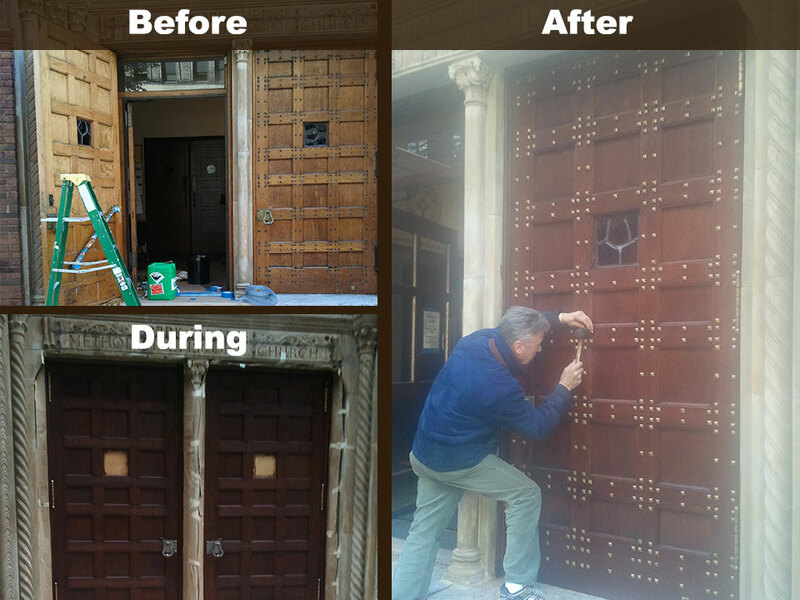 The process was also very smooth, and his team was wonderful about working around the other contractors we had on site to restore our facade and ironwook. We have already recommended him to friends and we are looking forward to continuing to work with Vincent in the future! Vincent and his team built new front entry doors for our house and also restored the surrounding moldings and the result was better than I ever could have imagined. 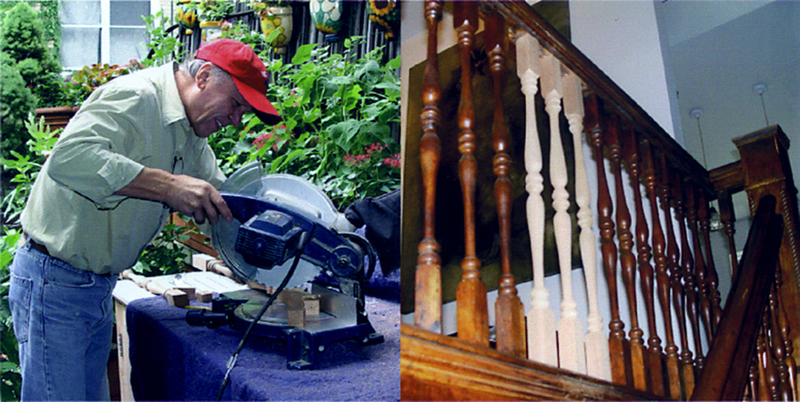 Vincent is a true craftsman with the skills, eye for detail, and passion to build and restore wood in a beautiful way. In addition, he is extremely professional, timely, and responsive and his workers are as well. I would give Vincent my highest endorsement! Before finding Vincent I nearly purchased fabricated doors and am happy I didn’t as they pale in comparison to Vincent’s work. 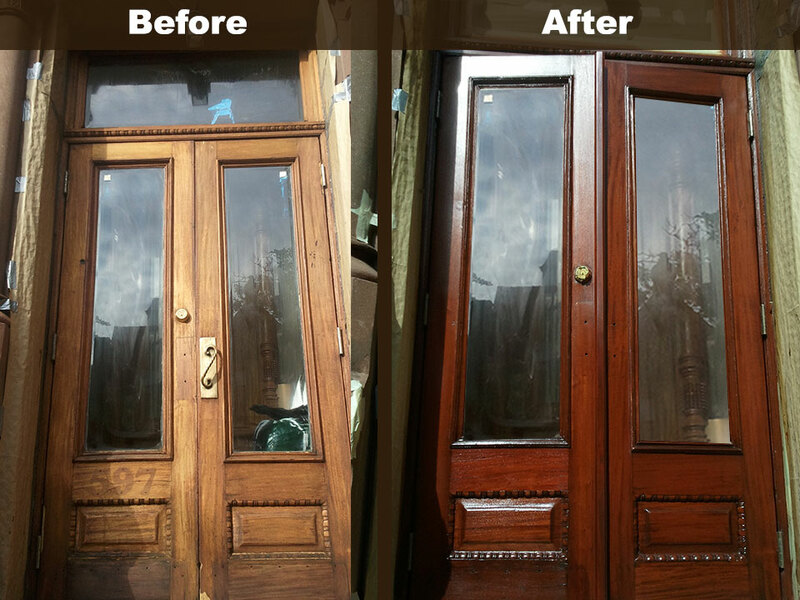 Vincent and his team restored our front entry doors to their original beauty. They were in very bad shape and needed a lot of repair work. If you saw before and after pictures you wouldn’t believe they’re the same set of doors. Vincent said they would be the best looking doors on our block when he was done and he was right! They are gorgeous and several of our neighbors have asked for his information. His workers were extremely professional, punctual and clean. We’ve done a lot of renovations on our house and working with Vincent and his team was by far the easiest project so far because of their professionalism and honesty. He stuck to his quote and there were no surprises. We will gladly work with Vincent again! Vincent Battiloro restored our front door to its magnificent original glory. His price was reasonable; his workmen, Ray and Geronimo, meticulous and professional, paying attention to the minutest of details. Case in point: we were quite satisfied with the final product but Ray was not so he refinished the door to his satisfaction. I’m so delighted to see craftsmen who still take pride in their work. The compliments from neighbors and passers-by keep coming and I just gave your number to a long-time resident yesterday. Every phase was executed punctually and upon completion a thorough cleanup was done. Our front door looks like a fine piece of furniture and you will have all our woodwork from now on!